Does the opinion of others matter to you? A lot of us will say it doesn’t, but when criticized about what we wear or how our home looks, we’re quick to notice. Research shows that if we don’t have specific knowledge about a product or service, we’re more likely to listen to the opinions of others. That’s where word-of-mouth marketing and customer content (also known as User-Generated Content UGC) makes all the difference. Guess what? I hate to be embarrassed socially. Don’t get me wrong. I have been known to make a fool out of myself in public many times. However, if I know there’s the slightest possibility I’ll look stupid because I don’t know what to do, I avoid making any decision. I rely on the knowledge of others. Literally, social proof is just the opinions and experiences of others and they really matter. Statistics show that a whopping 92% of consumers trust the online advice of friends, family and even strangers above all other forms of advertising. Online reviews and customer content is critical. 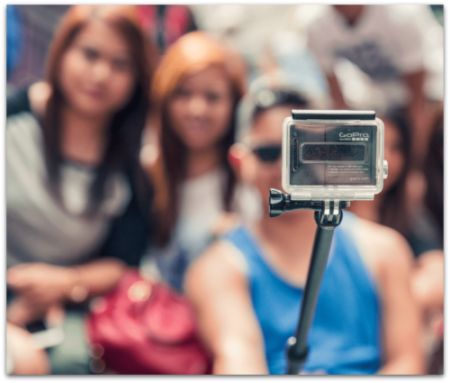 Customer content or user-generated content (UGC) is marketing that you didn’t pay for or create yourself. It’s the tweets, posts, photos, pins, reviews, testimonials, etc. that your customers make about your shop. The content is shared on social media. It’s marketing that lets your customers tell your story for you. Believe it or not, you’re not your best salesperson. Your customers are and they like opportunities to share. In the summer of 2014, Starbucks began a national campaign titled the White Cup Contest. 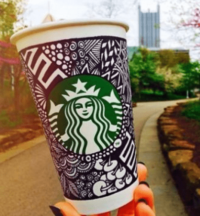 Customers doodled on their plain Starbucks cups and submitted their photos as entries. The winner had the privilege of having their design featured on a limited edition cup. Nearly 4,000 customers submitted photos which were used to generate an incredible buzz for Starbucks. It was a perfect example of customers doing the talking for you. Capitalize on the selfie craze. Create a cut-out poster or something similar. FedEx Office will print a 36″ x 48″ mounted poster starting at $129.99. Design the poster to look like an actual tweet. Showcase the purchases your customers make or highlight a special store event. 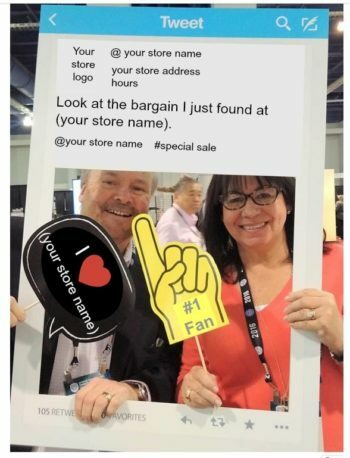 Snap a photo and make sure you and your customers tweet it out immediately. Use hashtags to pull others into the promotion. Take full advantage of the photos and have them printed out to create a special wall in your shop. Use them in blog posts to talk about your event or wonderful customers. Use photos and videos of your customers, invite them to share their personal stories. How did they design their room using that couch they bought from you? Where did they wear that recent outfit they purchased? Ask them to talk about the service they received and the salesperson that helped them. Have them share the reasons for their purchase. Are they starting over with a recent move to a new town? Did they purchase the outfit for the wedding of a close relative? Bring real human interest into your customer content. QR codes are still in use today. Create and place them strategically around your shop with signs that say, “Tell us what you think.” Link the QR codes to your review pages such as Yelp, Merchant Circle, Bing, etc. or to your Facebook page. Check those pages regularly to say thank you or address any negative comments. If you are asking customers to do a little extra work like create their own video, make sure you offer a prize for the best one. Remember, the prize a customer wins should equal the amount of work needed to participate. Always state clearly and in writing what you will and will not accept. Know your prime demographic. If they’re older, they won’t produce a video, but they will be willing to give you their opinion. Remember, customer content is the loudest voice when marketing your business. Take full advantage of it. I have been a writer for various forms of marketing for over 40 years. I've written my share of radio and TV scripts, magazine and newspaper ads as well as direct mail brochures and newsletters. Currently, as the Marketing Director for Traxia, home of SimpleConsign software, I've moved into blog posts, eBooks and website text. It's been an ever changing and ever challenging journey but I've loved it all along the way.